BURBAGE Parish Council has garden allotments at two sites in the parish. There are more than 60 plots at the main location at Woodland Avenue, off Hinckley Road, and another 6 at Blackways Meadow, between Brookside and the railway track. The centrally situated Woodland Avenue site is very popular and tenants there grow a wide variety of first-class crops on some well-tended plots. Most of the plots and all which will be made available in future can be rented for a modest annual cost. A piped water supply to convenient points supplements storage tanks and vehicle access to the perimeters of the site is possible, via a gated track off Woodland Avenue at its Hinckley Road end. There is a second padlocked gate (tenants get a key) at the bottom access point off Woodbank, where there is a car park which allotment holders can use. 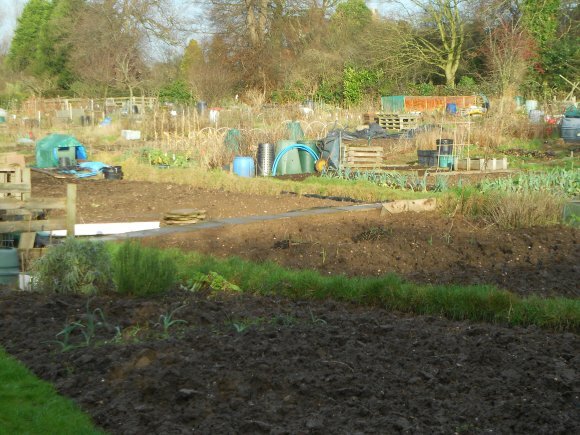 A remarkable resurgence of interest in allotment gardening has meant that currently all tenancies are occupied and there is a lengthy waiting list for vacancies. Applicants should be aware that it may take three years or more to climb towards the top of the list. To make the best use of available space, some rule changes have been introduced. Only half- plots (about 150 sq mtrs) can be offered to new applicants, who must reside in the parish of Burbage. Only one half- plot per household is allowed and therefore only one application/tenancy will be accepted from each household. All tenancy agreements must be with a single name and are non-transferable. A deposit (currently £50) is payable, refundable on the plot being surrendered in an acceptable state. The allotment year runs from April 1, with annual rent payable from that date, or at pro rata. If you are interested in applying for an allotment tenancy in Burbage, use the Application for an Allotment Tenancy form to provide your details.